Passengers flying from Dubai to Manilla were pulled from the boredom of the nine hour flight by one of life’s most exciting miracles: the birth of a baby. 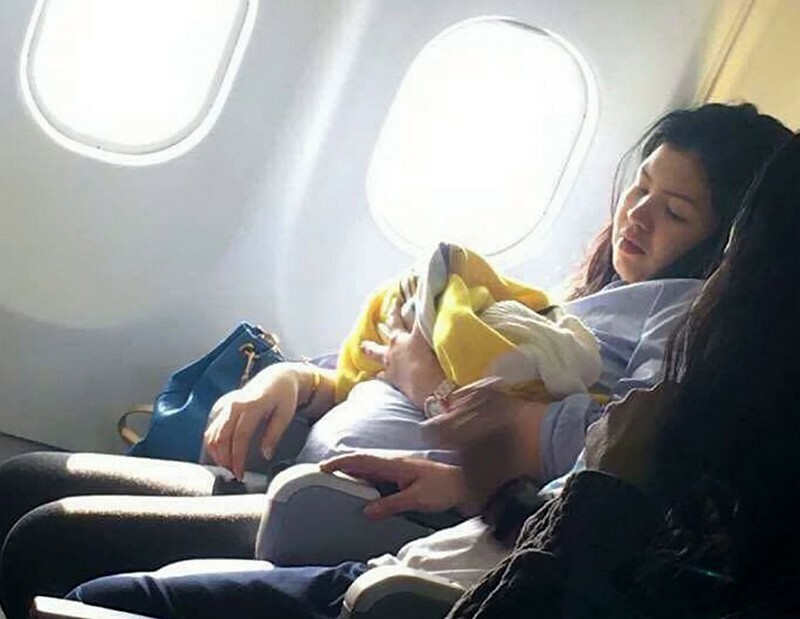 Arriving two months before her due date, baby Haven came into the world mid-flight on a Cebu Pacific Air journey on 14 August, 2016. It’s a first for the airline, and to celebrate, it awarded the baby with one million points, which amounts to a lifetime of free air travel. Missy Berberabe Umandal witnessed the event and documented it on Facebook. 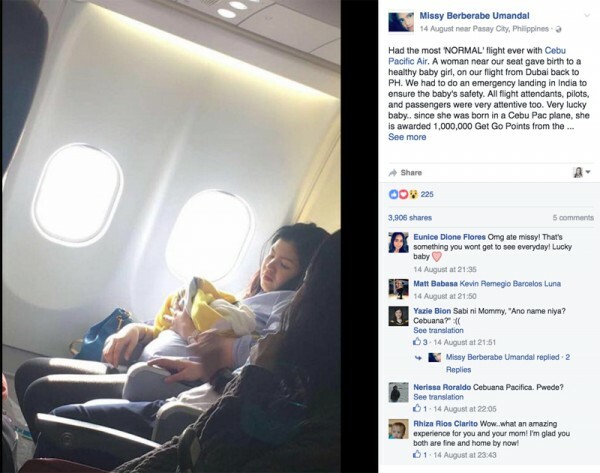 According to her account, the labouring mother was lucky that two nurses were aboard the flight to deliver the baby. “For once in my life, I saw flight attendants, who are meant to always maintain their poise and composure, panic ever so slightly. Flight attendants started calling for medical assistance, and luckily, there were two nurses among the passengers,” Missy wrote. Parents of two other babies on the plane kindly shared essentials like nappies and clothes with the new mum. Because Haven was born two months early, the plane rerouted to land in India so doctors could attend to the newborn. Mother and baby are by all accounts healthy and doing well. And though the unexpected arrival turned the nine hour journey into an 18 hour one, we’re glad to report that Missy says nobody was bothered. It’s not the first time we’ve shared a story about an impromptu mid-air arrival. Last year we told you about a woman who gave birth on a plane at 34 weeks while being deported from the US.